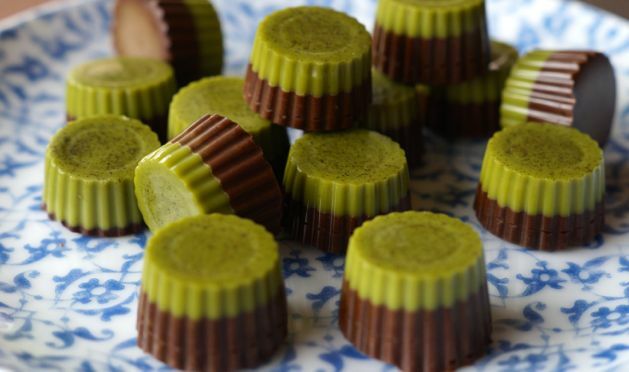 Matcha Chocolate Recipe | Oh, What The Heck Is Matcha? What the heck is matcha? It’s popping up EVERYWHERE so of course we had to give it a go. 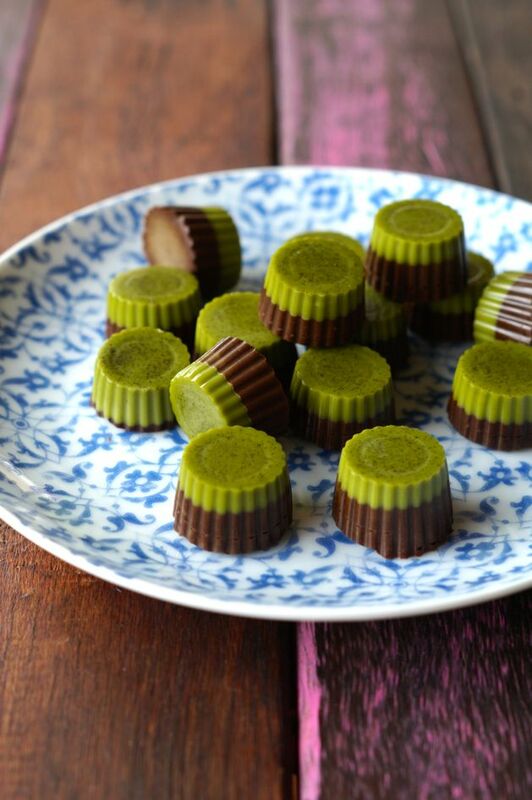 And of course, we used it to make matcha chocolate because… chocolate. But first… what is matcha? Our friends over at Matcha Maiden told us all about this super amazing food. Matcha is 100% pure green tea leaves stone ground into a fine powder with crazy cool health benefits. Super interesting right? Instead of just steeping the green tea leaves and chucking them in the bin… you actually consume it! Matcha has 137 times the antioxidants of green tea! #amazing! It’s also said to improve focus, provide higher energy levels, boost your metabolism and immunity. Yes, it has caffeine but way less than coffee AND because it has theanine (an amino acid) it actually gives you a calming affect. No coffee jitters or anxiety… yes please! In fact Buddhist monks use matcha during meditation! What do you do with matcha? Great question. Matcha is vers-a-tile… you can make way more than just sugar free matcha chocolate (however we highly recommend this!). Simply add to smoothies for an extra dose of good stuff, it goes perfectly in raw cakes (it makes a beautiful vibrant green colour!). Matcha lattes. Matcha bliss balls. Matcha chia puddings. Should we go on? The only thing you need to remember is that matcha is super concentrated so you don’t need a lot (trust us on this…). Just 1/2 to 1 teaspoon per serve. If you add too much the taste will be too bitter and strong… as you get used to the flavour feel free to up the matcha-anti! So how do you feel about matcha? Tried it? Love it? Let us know! 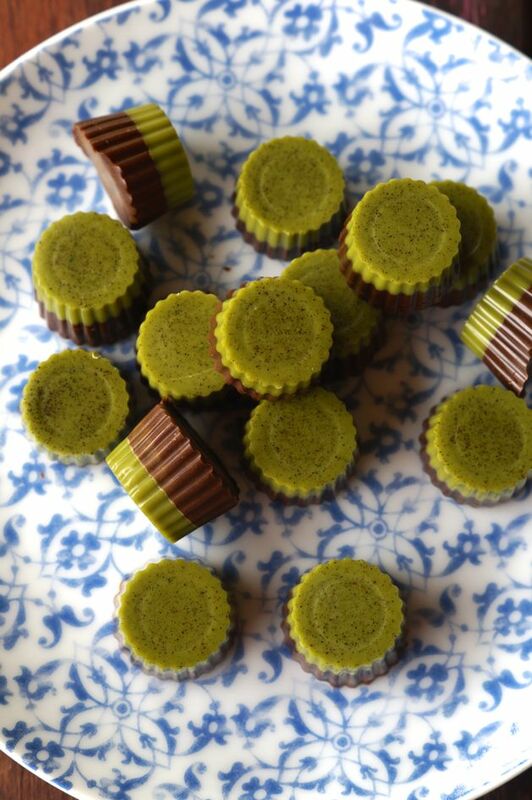 I’m DEFINITELY making these Matcha Chocolates! Chocolate that’s GOOD FOR ME! In a double boiler melt the cacao butter. Slowly add the honey (optional) while continually stirring with a whisk. Be sure not to heat too high. Take off the heat and add the matcha powder, vanilla and salt, whisk until smooth. Add the cacao powder to the remaining mixture and whisk until smooth. Fill the rest of the chocolate moulds with chocolate mix and place back in to the freezer for 10 minutes. Looking f0r more low fructose sweet treat recipes? You should check out this Salted Caramel Slice recipe! We even made a video showing you juts how EASY it is to whip up!